Death rate statistics in the United States now point to a startling turnaround with the likelihood of dying by opioid drug overdose surpassing the chances of dying in an automobile accident. Automobile accident deaths have long been the balancing point in conversations around the country. It is frequently said that a person has more chances of dying in an automobile than they do in an airplane. This is true. You also hear that automobile deaths are the number one cause of preventable death. That is no longer the case, according to the Odds of Dying report put out by the National Safety Council (NSC). Opioids, their numbers say, are now the No. 1 preventable death threat in the United States. The numbers are not only scary today, but the numbers have been on a rampage since 2011, coinciding with the arrival of street market fentanyl, which has proved to be as lethal as any illicit drug in the country. Put another way: The odds of dying by opioid overdose have probably not peaked yet. The problem, in part, is getting the message out to the public. “I can tell you without hesitancy, the general public does not like death rates,” Pain Medicine News quoted NSC statistics manager Ken Kolosh as saying. The aim of the NSC is, in fact, to put statistics in a manner in which the public can fully grasp their meaning. As such, the numbers are frightening, as they should be. It breaks down this way: The U.S. population was approximately 326 million in 2017. The number of accidental opioid-related deaths came to 43,036 that year. Simply divide 326 million by 43,036 and you get one in 7,569, which are the odds of dying of an opioid-related overdose in the entire year. When you divide that by the average life expectancy, which is 78.6 years, you get one in 96. That’s the odds of dying of an opioid-related accident for someone born in the United States in 2019. Do the same numbers for other causes of death and you have heart disease, a one in six chance; cancer a one in seven chance, chronic respiratory disease one in 27, suicide one in 88. If born in 2019, the odds of dying in an automobile accident are one in 103. Further, the odds of dying in an automobile accident have been improving over the last 10 years, while the odds of dying from overdose have been getting worse … and worse. According to the CDC, there were 47,600 opioid-related overdoses in 2017, which is 67. 8 percent of all drug overdoses. Are we done being scared? Absolutely not. But Pacific Bay Recovery is absolutely confident we have the team in place to turn your drug or alcohol addiction around. Confidence and fear do not cancel each other out. We certainly know this is tough. We know this is difficult. We know you did not start out life seeking to be addicted to drugs or alcohol. We know how difficult this can be. We know this is scary, but we also know and abide by one absolute: Emotions can change. What if the source of your fear today – facing recovery – becomes a source of your proudest accomplishment in the future? We understand you are scared today, but how will you feel when you get back on your feet when you find you are no longer beholden to any mood altering substance or behavior? Recovery is scary on day one. It’s scary on day two. It’s frightening for a while. We can help you get through those early fears and move on to a full, fruitful, healthy life in the future. What may seem scary, depressing and isolating today will look very different in the future. Recovery is about restoring hope. It’s about waking up every day with hope in your heart. Every day you have regained control of your life is a day of hope. You can win this struggle. Don’t be a statistic. Call Pacific Bay Recovery, San Diego’s top drug and alcohol recovery program. Call 858-263-9700 today. MDMA (3, 4-methylenedioxymethamphetamine) is known by many names – Molly, ecstasy/XTC, etc. It is a synthetic drug that has a stimulant and hallucinogenic effect on humans. It was initially used in the treatment of a number of psychological issues, but given its potentially harmful effects, it is not utilized as medicine. It has the ability to lower inhibitions, enhance a sense of interconnectedness, and create psychedelic effects, which is popular among teenagers and young adults, especially in the party culture (“raves”). MDMA effects start kicking in within an hour or so after taking a single dose and include feelings of mental stimulation, emotional warmth, a general sense of well being, decreased anxiety, as well as an enhanced sensory perception. MDMA dramatically alters an individual’s mood and perception, and its effects are similar to those experienced after taking amphetamine and hallucinogenic drugs. However, there are some users who report undesirable effects immediately, including anxiety, agitation, and recklessness. It can produce a variety of adverse effects, including nausea, chills, sweating, involuntary teeth clenching, muscle cramping, and blurred vision. MDMA overdose results in high blood pressure, faintness, panic attacks, and in severe cases, a loss of consciousness, and seizures. It is typically consumed as a white powder form which can be applied on the gums, snorted or smoked. But more commonly, it is mixed with other substances and sold as a tablet. There is a common misconception that Ecstasy/MDMA does not lead to addiction or dependence; it is actually opposite to that – It is highly addictive and chronic use leads to serious long-term, overall poor health, wellbeing and quality of life. 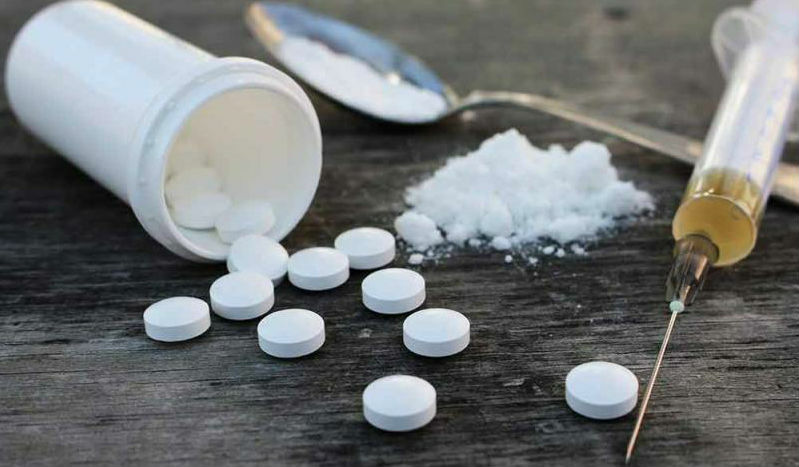 MDMA addiction may also lead to the development of alcohol addiction and other drug and behavioral addictions, as polysubstance abuse is quite common. Long-term users of Ecstasy/MDMA can lead to tolerance, which is a key factor in the development of addiction. As devastating as it is, MDMA addiction is fully treatable. It takes will power and determination of the patient, and with the support of loved ones and experienced professionals, recovery from this abuse disorder is achievable. It takes a team of highly trained psychologists, psychiatrists, therapists and other mental health professionals who have a thorough understanding of this type of substance abuse disorder to comprehensively treat it. Each patient is unique – different background, medical history, psychiatric issues, social circumstances and physical profile, and the treatment needs to be bespoke, individually tailored with support for each individual. Treatment may include outpatient therapy, 12-Step support group, partial hospitalization or residential treatment, family therapy, Cognitive Behavioral Therapy (CBT), Dialectical Behavioral Therapy (DBT), biofeedback/neurofeedback, hypnotherapy, recreation therapy, etc. We have a team of highly experienced professionals fully trained in the management of MDMA abuse disorder, providing the full gamut of treatment options customized for each patient so that they can have the best shot a full and lasting recovery. Addictions or substance abuse disorders are a diverse set of common, complex diseases that affect millions of people worldwide. The environmental factors that predispose to substance abuse are well known, but the question is whether genetics play a role as well. It is becoming evident that there are shared genetic and environmental etiological factors at play. Genetic studies and other analyses are clarifying the origins of addiction and the role genes play in their development. This knowledge of genetic factors in etiology and treatment response can bolster the personalized treatment of these disorders and even prevent them. Addictions are chronic and often relapsing psychiatric disorders with maladaptive and destructive outcomes that affect not only the individual, but also one’s family, community, and society. Just talking about alcohol alone, around 2 billion people consume alcoholic beverages and 76.3 million of these have an alcohol use disorder. The second most abused drug is tobacco, with 1.3 billion users worldwide. Approximately, up to 200 million people worldwide consume illicit drugs. Addiction is characterized by three phenomena, regardless of the type of agent of abuse: craving (preoccupation/anticipation), binge/intoxication, and withdrawal/negative effect. The initial stages are dominated by impulsivity and positive reinforcement that drive drug-seeking behavior. These are replaced by compulsivity and negative reinforcement in the later stages of the addiction cycle. Addictive drugs have been found to induce adaptive changes in gene expression in brain reward regions, leading to tolerance and habit formation. These processes are implicated in the development of relapse as well. Genetics supposedly play an important role in determining which treatment modalities are effective in these patients. This can induce a paradigm shift in substance abuse disorder therapy as currently, the clinical options are untargeted and only partially effective. Inherited variation is thought to affect the initiation and maintenance of drug use, and new therapies and preventive strategies could be developed and better targeted to individuals. Addictions have been found to be moderately to highly heritable. Family, adoption and twin studies reveal that an individual’s risk for substance abuse disorder tends to be proportional to the degree of genetic relationship to an addicted relative. These heritabilities are not the same across the board – it is 0.39 for hallucinogens, and 0.72 for cocaine. An important study (Virginia Twin Study) revealed that while familial and social factors play a stronger role in the initiation and use of nicotine, alcohol, and cannabis in adolescence, there is an increasingly greater role of genetics in the same as one grows older. It must be noted that the underlying pathogenesis of these substance use disorders is complex, and while there has been some progress in unraveling the genetic factors that are linked to their development and to one’s response to therapy, there is still a lot that we don’t know about how genetic factors interact with environmental factors in the natural history of these conditions. But it is encouraging to see that this knowledge has the potential to guide prevention and management practice in this field. As we all know, we are in an opioid epidemic in this country. But the good news is that the numbers are beginning to go down. Having said that, the job is still not done. The main reason we still high opioid use (and eventually abuse) is that we still have a very high prevalence of chronic pain (almost 1 in 10). And opioids are still being overprescribed. Hence, there is a pressing need to use opioid alternatives for chronic pain relief. 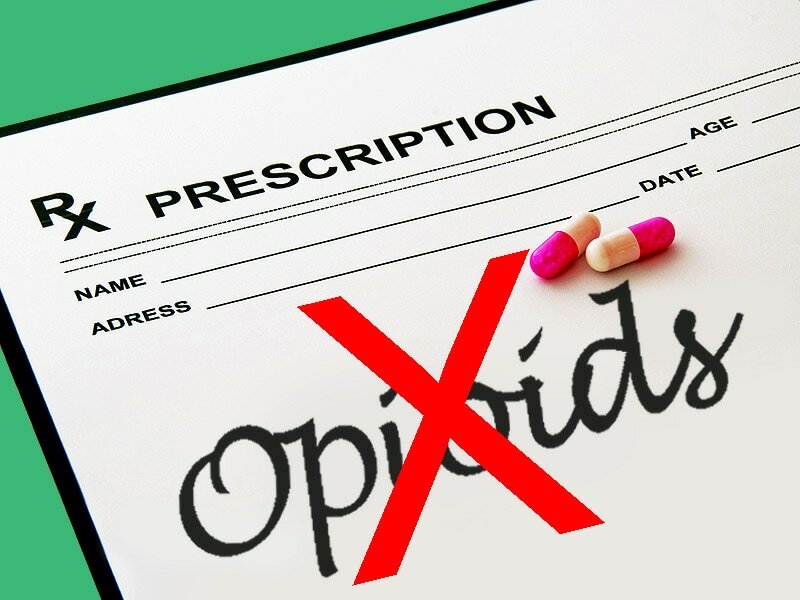 Not only that opioids have a very high addiction potential (15-fold greater risk for those who have been taking opioids for three or more months), but also they are not very effective in the management of chronic pain. There are a number of alternative strategies that have been found to be effective against chronic pain, such as cognitive behavioral therapy, acupuncture, medical massage, physical therapy, etc. Chronic pain is defined as a pain condition that lasts for more than six months. Studies have shown that chronic pain involves the same areas of the brain as the emotional disturbance. Emotional pain is treated with alternative methods, so it is worth exploring if chronic pain can be effectively managed that way as well. Many healthcare providers have made initiatives to minimize the chance of opioid addiction. Pain clinics assess people for risk of addiction, have them sign a medication contract, educate and counsel them on the risks of addiction and other side effects, perform urine drug testing, undertake pill counts, etc. But it has yet to be seen whether these efforts made any difference in preventing addiction. The opioid alternatives that are being used for chronic pain management include nonsteroidal anti-inflammatory drugs (NSAIDs), antidepressants and antiseizure medications. Nonpharmacologic options include cognitive behavioral therapy, exercise therapy, physical therapy, etc. There are also some interventional approaches such as nerve blocks, neuromodulation, etc. These methods have been found to be effective in chronic pain management. There is now one-stop-shop type of pain clinics where the patient can see a physician, a physical therapist, a psychologist, a massage therapist, an acupuncturist, etc., for one’s pain complaint. However, these approaches can be expensive with limited or no insurance coverage. It is being widely understood that opioids can only provide short term from severe acute pain and are ineffective for lasting relief from chronic pain. Instead, a better approach for the latter is to use a combination of alternative modalities mentioned above. But these methods take patience and effort because complying with them takes commitment and the results are not immediate. But when the patient sticks with them, the results are often very rewarding. It is important to note that these alternative methods are much more effective once somebody is not on opioids. The reason may be psychological, at least in part, that the patients have gotten used to finding immediate relief that comes with taking opioids even if its temporary. But working closely with the therapists and with some encouragement and perseverance, patients are able to overcome chronic pain through these safe methods. The abuse of illicit drugs is a serious health issue and it causes up to 200,000 lives every year. One of these dangerous drugs is Methamphetamine, which is a stimulant. It has several street names, such as speed, crank or meth. Other similar drugs in this class include levomethamphetamine and dextromethamphetamine (crystal meth). 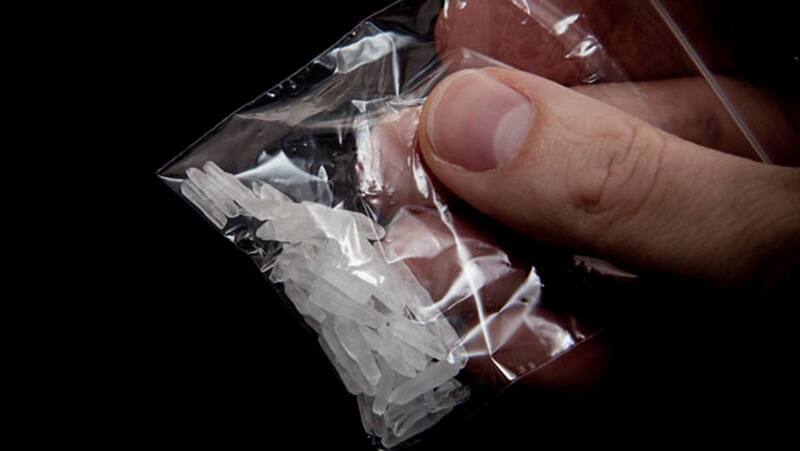 This crystal meth is often made in illegal home-based labs. It is popular among partygoers and easily found on the streets and in the clubs. It is extremely addictive in nature and can cause dependency after just one use. When a user takes crystal meth by way of snorting or swallowing, it causes a feeling of rush within 15 to 20 minutes. This effect is immediately following injection or smoking of the drug, causing extreme euphoria and a sense of elation. This effect typically lasts for six to eight hours up to a full day. 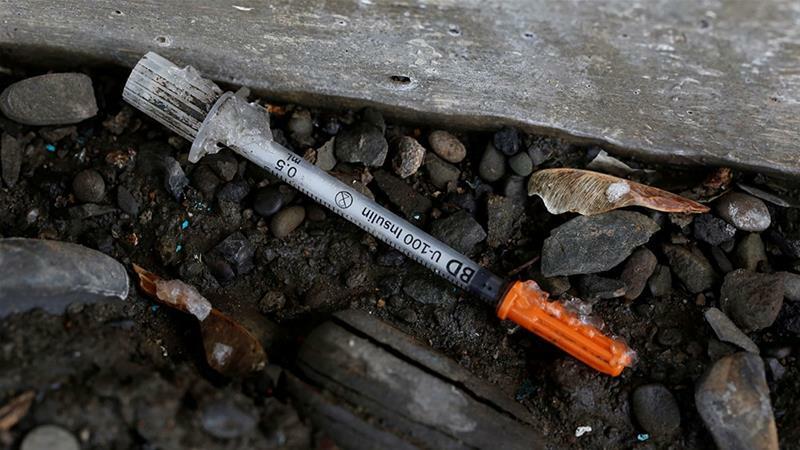 It may lead one to try more injectable drugs like heroin. When a user is addicted to meth, it causes a withdrawal syndrome when you take away the drug. There is evidence of psychological addiction manifested by extreme shifts in mood, severe insomnia, intense paranoid and delusional behaviors. Physical symptoms include sickness, hunger, and even seizures. Addiction to meth also leads to anhedonia (inability to find joy in anything), which makes it extremely hard to stay abstinent as they seek that joy in abusing meth. It can take up to two years of abstinence to have restored mood and effect. Prolonged use of crystal meth has devastating effects on one’s physical and mental health. It causes damage to the liver, kidneys, and lungs, leads to hypertension and vascular injury in the brain, increasing the likelihood of stroke and cardiac complications, which can be fatal. The brain damage can be extensive and lead to stroke, epilepsy, and dementia. Smoking it can cause lung abscesses, snorting it damages nasal mucosa, and injecting it increases the risk of HIV, Hepatitis B and C, and infective endocarditis. Addicts of meth also suffer from tooth decay, psychosis, depressed mood, and weight loss as well. There is now a resurgence of meth-related emergency room visits related to overdose and withdrawals. The most common cause of meth-related death is multiple organ failure. An overwhelming percentage of these patients (86%) have co-occurring HIV infection due to associated risky behavior. The treatment for meth addiction is extensive and rigorous rehabilitation. While brief stints at a rehabilitation facility can provide short-term benefits, fully recovery warrants a much longer commitment. A treatment period of at least 90 days is recommended to ensure efficacy. The detox process is highly involved and requires close monitoring of experienced staff. The withdrawal process can be challenging and the patients can become violent, which is why a skilled rehab facility should be carefully chosen. With proper professional help, the chances of a successful recovery are fairly high. There are several treatment options to choose from based on your specific abuse disorder and needs. The typical length of rehab programs are: 30, 60 and 90 days. There are extended programs as well, such as sober living facilities or halfway houses. The most important thing to consider while choosing a program is that what option has the highest likelihood of success. in that patient’s case. Most commonly availed option is that of months. Research shows that the best outcomes occur with longer durations of treatment, but they can be costly. They may also seem intimidating at first, but do have the best chance of being successful. It should be reminded to the patient that the more patient they are with themselves and accepting of the treatment process, the more effective it is going to be. The patient or his/her caregivers don’t know how long the duration needs to be, so starting with this program will provide the insight into whether it is enough or a longer duration program is needed. This program offers enough time to get through any physical withdrawal symptoms and allows time to begin establishing relapse prevention techniques. A 30-day program is easier to commit to and feels less daunting. It is also the most affordable option, so many insurance companies are more likely to cover this type of program. A 60-day program provides the added time that may be needed in more involved cases. In this program, there is enough time to detox from the substance and undergo therapy sessions to work through any familial, behavioral or situational circumstances at play. It also provides the opportunity to actively practice positive and healthy habits to help maintain sobriety. Insurance may not cover the full 60-day programs, however, many rehab facilities offer payment plans that make it easier to afford it. It is a significant time commitment to go for this program and it may seem intimidating. However, it is also most likely to be effective as it allows for the full gamut of intake and evaluation, detox, therapy, self-help groups and set up an aftercare plan. This program provides the best shot at becoming adjusted to life without drugs or alcohol. It allows for strengthening one’s skills in resisting any temptations and urges and identifying any potential triggers. This program is highly recommended for those with severe or long-term addictions. Simply put, the longer a person remains in treatment, the better the outcome. However, it is important to consider factors such as cost, fatigue and reintegrating back to daily life. The first 1-2 weeks are mostly just about getting acclimated and going through the withdrawal process. The real work begins after that – when the patient is feeling better enough to address deeper emotional issues and work on fixing them. One should plan on an extra week to ten days of detox before starting in-patient treatment if it’s under consideration. It is critical to realize that taking the time one needs to get a solid foundation for your recovery is critical. Leaving treatment prematurely involves the risk of relapsing, and failed therapies make it less likely for future rehab treatment to work. So give the time that is needed to properly heal and succeed in the recovery process. There is a difference between drug addiction and dependence that is important to understand. Although some use these words interchangeably, the preferred term is now “Substance use disorder”. Drug dependence often alludes to the physical dependence on a substance and is characterized by the symptoms of tolerance and withdrawal. It typically precedes addiction. Addiction is characterized by a change in behavior caused by the biochemical changes in the brain after substance abuse has continued over a period of time. The addict develops full dependence on the substance and craves for it and seeks it at all costs, with no regard to the harm it causes to themselves or others. It is highlighted by irrational drug-seeking behavior. Mental dependence is when a person desires a substance in response to an event or feeling, which are known as “triggers.” Triggers can be set off by another person, events, experiences, etc. Addiction becomes evident when both, mental and physical dependence is present. Drug abuse is considered to be the early stage of drug dependence. When the abuse becomes more frequent, the likelihood of developing a dependence disorder gets greater. It is important to differentiate between addiction and substance dependence. Dependence may be present without addiction, but it frequently leads to addiction. We employ an alternative approach to pain management with a goal in mid to keep patients away from drugs that they can develop dependence for. Opioids, antianxiety meds, and stimulants all have addiction potential. They develop tolerance towards it, which means that when people use it, they need more of it to have the same desired effect. This leads to higher or more frequent dosing (abuse). That eventually leads to dependence and then addiction. In order to prevent this cascade of events, we try to employ alternative methods for pain relief – such as herbal supplements, nonsedating meds with no addiction potential, and nonpharmacologic activities, including acupuncture, meditation, yoga, etc. While they may be less strong pain-relieving methods as compared to opioids, they can be extremely effective. For severe, uncontrolled pain, you would require strong painkillers but a wide range of patients can achieve effective and lasting pain relief from these options. The key benefit of these is the fact that they have no addiction potential, and in most cases, promote a healthy lifestyle. It is important to remember that the key tenet of medicine is – first do no harm. While necessary in some cases, opioids and other anxiolytics and sedatives have a high risk of dependence leading to addiction, which can even be life-threatening. We explore all healthy alternatives to them as much as possible to avoid these problems and heal the patients at the same time. We deeply care about the wellbeing of our patients and strive to improve their life experience as much as possible. Prescription Drug Abuse Facts – Know the Truth! Prescription drug abuse is defined as the use of a prescription medication in a way not intended by the prescribing doctor. This type of substance abuse may become ongoing and compulsive, despite the patient facing its negative effects in life. Prescription drug abuse can affect any age group but it’s more common in young people. It is critical to detect prescription drug abuse early in order to control it through early intervention and to prevent it from turning into addiction. The most commonly abused drugs include opioid painkillers, sedatives, anti-anxiety medications, and stimulants. Opioids – cause constipation, nausea, euphoria, slow breathing rate, drowsiness, poor coordination. Anti-anxiety medications and sedatives – cause drowsiness, confusion, unsteady gait, slurred speech, dizziness, etc. Stimulants (methylphenidate, dextroamphetamine, amphetamine, dextroamphetamine) – cause reduced appetite, agitation, high body temperature, high blood pressure, irregular heartbeat, anxiety, etc. People abuse prescription drugs in order to feel good, get high, relax or relieve tension, to reduce appetite or increase alertness, or to maintain an addiction and prevent withdrawal. People may become addicted to medications prescribed for medical conditions, such as painkillers. Past or present addictions to other substances, such as alcohol and tobacco play a role. Family history of substance abuse problems is also a risk factor. Younger age is another risk factor, although prescription drug abuse in older adults is also on the rise. Mental health issues also predispose patients to drug abuse. At our center, we understand the seriousness of prescription drug abuse – how it starts, what triggers it, how it affects lives and cause devastating and sometimes fatal consequences. This is why we focus on managing pain with non-opioid methods as much as possible. We pay special attention to the existing condition of the patient so that we can best address the current complaint. We take a detailed history and do proper medication reconciliation to identify red flags. There are many situations where alternative methods for pain relief that have less potential for addiction are possible. Once prescribed or recommended, we follow up with our patients to ensure compliance, relief from pain and tolerance issues if any. It is important to provide adequate pain relief, and we understand that alternative pain relief methods, such as non-opioid medication, meditation, yoga, exercise, herbal supplements, aren’t always as effective. We identify those patients who need serious pain relief and refer them accordingly. But in many cases, patients do find relief from these methods. These patients then, don’t get exposed to opioids that they may have side effects from, or develop dependence for and potentially abuse. We also counsel the patient on their pain management and how they can choose alternative methods that are much safer. This leads to better understanding and compliance and in many cases, lead to desired results. Stress and Alcohol Dependence – A Vicious Cycle? Stress and drinking are a toxic combination that has somehow gained social acceptance. People who claim to experience high levels of stress admit that they drink more frequently than others. The same is true of people with anxiety and depression. While people have different reasons for drinking – from celebrating to dealing with pressures. The National Institute on Alcohol Abuse and Alcoholism defines stress as ‘subjective feeling of pressure or tension’. This is often accompanied by heightened feelings of anxiety, anger, fear, excitement, or sadness. 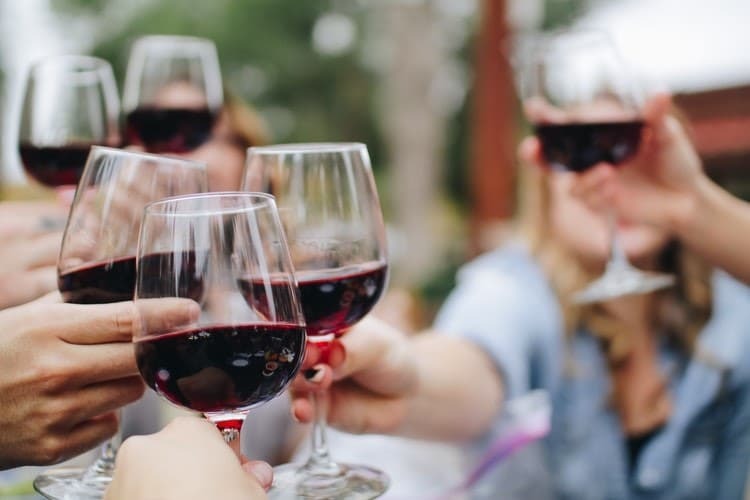 People who drink regularly to cope with stress initially report temporary comfort but using alcohol as a coping mechanism can lead to catastrophic consequences. For example, those who drink to cope with pressure or stress are more likely to develop a substance abuse disorder. The fact is, rather than helping you cope with stress, drinking can actually increase stress levels. Alcohol abuse would negatively impact your work or school performance, personal relationships and finances, all of which would intensify your stress. Alcohol also stresses the body and the mind. As the body gets rid of the alcohol from the night before, blood sugar levels may fall, adding symptoms of anxiety to the existing stress. Alcohol leads to an increased level of cortisol, a hormone the body was naturally generating as a response to stressful events. High levels of cortisol can cause inflammation, blood sugar spikes and high blood pressure. Persistent cortisol in your body can damage your central nervous system and other organs. So, the alcohol that you have been drinking to cope with stress is actually adding to your stress levels. Seek professional help if you experience withdrawal when you try to stop drinking. A reputed alcohol and drug rehab center can help you learn ways to cope with stress in a healthy way without any dependence on alcohol or any other substance. What Type of Anti-Craving Medications are used for Alcohol Addiction? Why would anyone want to tiptoe through life, as if it’s a full-fledged cocktail blur? Getting drunk daily, probably doesn’t sound so appealing to those of us that are not alcoholics. Neither does waking up craving the next liquid courage binge or nightly sweats due to our shallow veins that need to seep with alcohol. According to the National Council on Drug and Alcohol Abuse, alcohol is the most commonly used addictive substance in the United States: 17.6 million people, or one in every twelve adults, suffer from alcohol abuse or dependence along with several million more who engage in risky, binge drinking patterns that could lead to alcohol problems. The brains of alcoholics are wired differently, forcing them to have a chemical imbalance, where they crave dependence. The pleasure can be corrected with certain anti-craving medications but would have to be taken over extended periods of time. For any specific, powerful solutions in subsiding the desire for alcohol, you MUST admit you have a problem and need help. Step One is recognizing unhealthy patterns and verbally expressing, you know there is dependence and you are powerless over alcohol and life has become unmanageable. What can we do about the cravings, to cease taking the first drink? The FDA has approved pharmaceuticals such as Naltrexone, Antabuse, Acamprosate, and antidepressants (SSRIs) tend to be the most effective. Naltrexone – stops you from your dependence on opiate drugs and alcohol. It has been designed to block the feeling of being “high” that you get when you drink. This should be combined with rehab and a certified counselor that will help maintain sobriety. Antabuse – one of the oldest and most commonly used remedies that intercept with alcohol metabolism, thus producing negative side effects when alcohol is consumed, such as vomiting and painful nausea. The problem occurs when individuals stop taking the medication because they want to drink instead of getting better. SSRIs – are used for treating depression and balancing serotonin levels. Alcohol is a depressant, many isolate while abusing alcohol and become hermits, putting them in a state of hibernation. Who wouldn’t feel depressed while in this state? Acamprosate – used in the treatment of alcohol dependence, to maintain self-restraint. It has a good success rate for subsiding cravings. There are all-natural remedies like acupuncture that has been shown to be a highly effective form of treatment (traditionally used in Chinese medicine). Milk thistle is richly made up of a concentrated antioxidant silymarin that aids in restoring liver functioning and further damage to your liver. Alcohol depletes our vitamins, nutrients, and minerals – which means we should increase our B Vitamins for energy production. Glutathione becomes depleted in the body from excessive alcohol use and drinking suppresses our appetites – therefore, we consume fewer food products and our bodies lack necessary nutrients. It is imperative to eat a diet full of antioxidants and take a glutathione supplement to stabilize levels in your body. We want you to give up alcohol permanently and stop your cravings before they start. This requires you to recognize what is triggering you reaching for a drink in the first place. Visit us here https://www.pacificbayrecovery.com/ for additional information on how we can help. Take the first step with us today and learn how to live alcohol-free and vibrant.